Lessons are 30 or 60 minutes, six days a week. We offer weekly, fortnightly or flexible sessions to cater to individual needs. Each student is provided with material so they can practice independently, and we host regular concerts to give students the opportunity to perform. In the first lesson, you and your teacher will discuss payment schedules and lesson times. Costs range from -$25-$35 per half hour. Please see individual teachers for prices. See below for a full list of teachers and their skills. 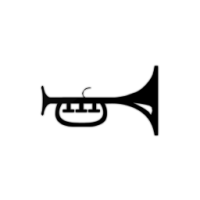 Stella has been a professional musician and performer for over 20 years, performing with a broad range of musicians and Bands. She has been a vocal coach for over 15 years, including teaching voice (The Alexander Technique) at Ballarat University, conducting groups such as Sweet Mona’s Choir, the Mini Mona’s Choir and Vocalise Thursday Night Community Choir. Stella was co-director/conductor for Boite’s Melbourne Millennium Chorus 2011- Freedom Road and wrote and co-directed/conducted 2013- Coco de Mer. 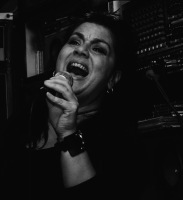 Stella teaches advanced singing, including VCE voice- contemporary popular, hand drumming, facilitates workshops and works in schools, both one on one and primary class room teaching. Candi has been a part of Vocalise/Cocosounds since 2006 and has been singing anywhere she can ever since. She has been part of cocosounds since a very young age of just 6 going from the pink choir through all the way to the sweet monas before she turned 18. Candi has been singing since she can remember and has had lessons off Stella and still sings with her to this day. Candi does a range of gigs around ballarat and she is a solo artist but loves working with choirs and other vocal groups. Candi finished high school in 2016 and got dux of her year level for music, getting an A+ in her music theory and in her overall performance. Since Candi has finished school she has focussed mainly on her solo performance taking up guitar, drums, paino, ukulele and anyhting she can get her hands on. Candi is very dedicated to her work and being the youngest teacher within Cocosounds we are very excited to have her on board. Available for private lessons: $25/half hour. Barry is one of Australia’s finest roots musicians. He has been playing professionally for 35 years and has toured extensively both nationally and internationally with some of Australia’s finest- including Ross Wilson, Joe Camilleri, Vince Jones, John Butler, and Mama Kin among others. He also played upright bass in the house band for the semi and grand finals of Australia’s Got Talent. 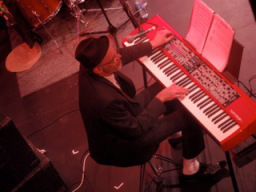 He continues to work and tour with Bomba, Bustamento and both the Melbourne (on bass) and Ballarat (on keys) Ska Orchestras. 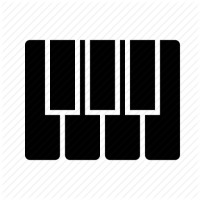 Barry has been teaching bass guitar for the past 20 years and piano for the past 5 years, and among other things, was the first conductor of Sweet Mona’s Choir. Ballarat is blessed to have such talent and experience at it’s doorstep. Barry currently teaches at Clarendon College, Mount Clear College and Ballarat Grammar, and teaches Contemporary Piano/Keyboard, Music Theory and Bass (including VCE Bass). 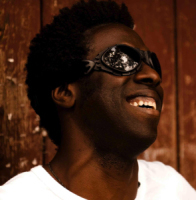 A world renowned, warm and engaging electro-acoustic soul artist Geoffrey Williams is one man, a loop pedal, a guitar and a whole lot of soul. Think Marvin Gaye meets Joni Mitchell in a UK suburb over a pot of Caribbean rice and peas! As a songwriter, he has written for the likes of Michael Jackson and Dusty Springfield, & released 5 albums on major labels including Atlantic & EMI. Geoffrey has 25+ years experience as a performer playing Wembley Arena (UK) and Montreux Jazz Festival ’95 and recent festivals include Woodford Folk Festival 2010/11, Gorgeous Voices 2010 and The Boite Singers’ festival 2010/11 where he also ran Soul Voices workshops. 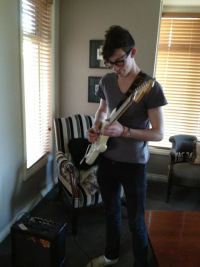 He is a Contemporary Voice tutor at Ballarat Grammar and St Patricks College, Ballarat. Geoffrey teaches singing from beginner to advanced for Cocosounds. A keen musician from a young age, since Harrison picked up a guitar he hasn’t been able to stop playing. Although a competent multi-instrumentalist his main focus for the last 5 years has been on Guitar. Since completing high school in 2013 he has dedicated his time to performing, studying and teaching music. Over the last few years Harrison has performed as a solo artist as well as in multiple group contexts, as well as performing in 2 musical productions. As well as being a performing artist Harrison loves to record and produce music. Having studied a broad range of musical styles he is able to teach in most guitar styles including; classical, jazz, pop, rock, folk, blues and many more. 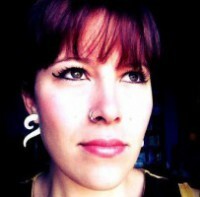 An accomplished musician on viola and piano, Imogen started singing with Stella Savy in 2010. Having completed VCE Music with a focus on contemporary vocal performance, Imoge is currently completing a Bachelor of [Imogen Dale] Music at Monash University, specialising in Jazz Voice. She has studied with jazz sensation Emma Gilmartin and innovative international artist Jacqueline Gawler (Coco’s Lunch). In 2013 Imogen performed at Bennet’s Lane Jazz Club (Melbourne) and also recorded with Australian Jazz great Vince Jones. In November 2013 Imogen travelled to Prato, Italy to complete a three-week intensive Jazz Performance course where she worked with a range of International Jazz performers including Paul McCandless (Bela Fleck and the Flecktones) and Diana Torto (Vocal Improvisation, Music Conservatory Milano, Italy). Imogen performs regularly with her brother, Harrison Dale, in an acoustic duo and as vocalist with local Bluegrass band ‘Just Add Moonshine’. 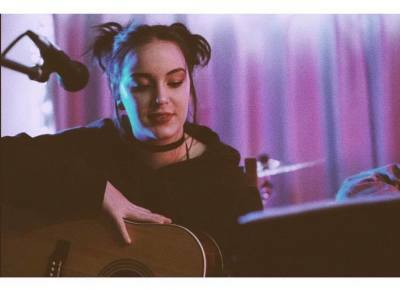 Whilst Imogen’s favourite genre is Jazz, she also sings folk, blues, bluegrass, soul and contemporary music, adding her trademark individual style. Mary Card has been teaching with CocoSounds for over four years. She’s a firm believer in having fun with music, keeping it relaxed, and teaching songs that students love, from traditional classics to world music and contemporary pop. Individual vocal lessons with Mary are fun and relaxed. 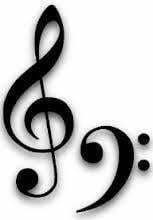 She tailors lessons to the student’s strengths and works on confidence and rhythm. Students leave every lesson with a smile on their face and a pocketful of new skills. Paige's teaching style encourages students to find their 'own voice' which is built on a foundation of good vocal technique. 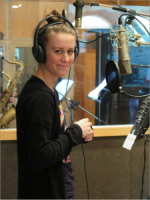 Paige welcomes students of any level who are interested in singing in any genre, including if you are interested in singing jazz, learning to improvise or writing your own songs. Holly (BMus hons, MMus, DipTeach) loves the trumpet – its unique, beautiful sound and the creative potential it offers. She plays trumpet and flugelhorn with three groups – Opa Bato, Agobloco (Brazilian carnivale band) and a Euro folk band. 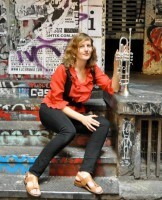 Holly chases music around the world and her travels led her to play and study 'gypsy' trumpet in Eastern Europe. She has also had classical training and experience playing in a range of jazz ensembles. Holly has been teaching music privately and at schools, from beginners to a VCE level, since 2003. Holly offers lessons for all brass instruments: trumpet, cornet, flugelhorn, trombone, French horn, euphonium and tuba, as well as music theory.